Silkie chickens : why they're the teddy bear of the poultry world. Silkie chickens : the cuddly teddy bears of the poultry world. 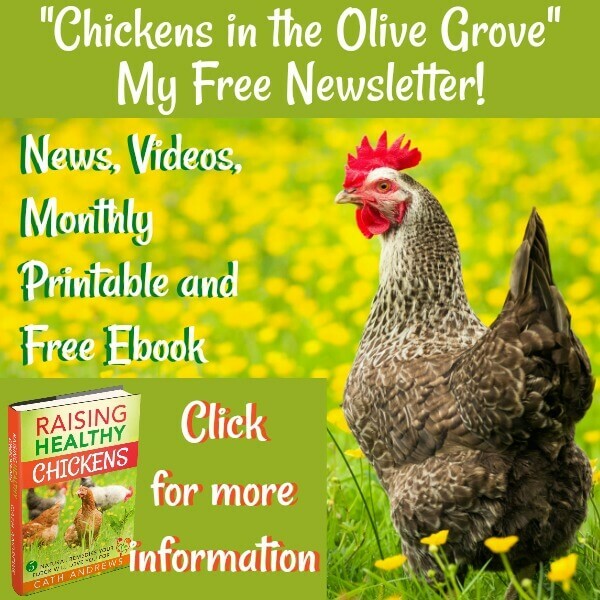 If you're looking for a friendly, chatty, sweet-natured breed as a first chicken for your children or a companion for yourself, you may just have found your ideal. Silkie chickens are exactly as they look - funny, cuddly and very kind. But they're not suitable for every kind of climate. Before you invest, make sure the Silkie will fit in with your family and your environment. My 'at-a-glance' guide describes this loveable breed, and what you need to provide if you're going to live together in harmony. Where do Silkie chickens come from? 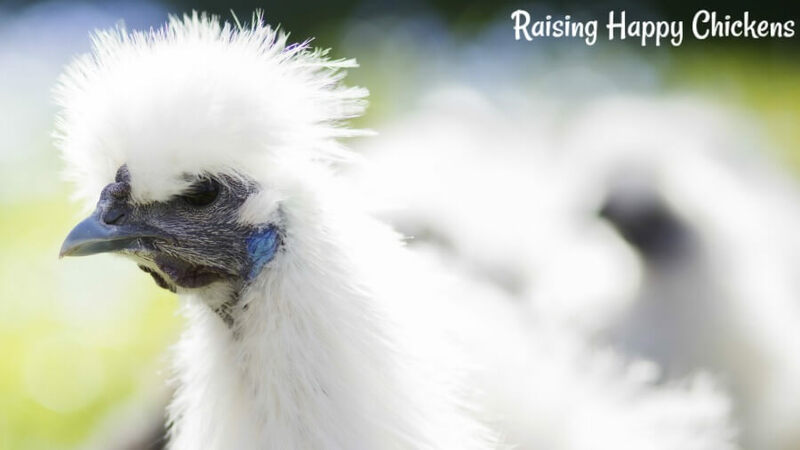 Silkies have a long and proud history. There's a great deal of information about the Silkie in ancient Chinese writings -eastern cultures have always believed the Silkie to have medicinal powers beyond any other chicken breed. That belief is justified: recent studies have discovered that the Silkie produces more carnosine, an important anti-oxidant, than other poultry. It's for that reason the Silkie is still used widely today in Chinese medicines. The first western recording of a Silkie sighting was by Marco Polo, in 1298. He marvelled about seeing a bird with black skin and "hair like a cat" on his travels to China. It's thought that he took some Silkies with him, and was the first person to introduce them to the western world. In the early 1900s, Silkies were exploited in travelling circuses and side-shows as 'freaks', described as "Chickens with fur instead of feathers". 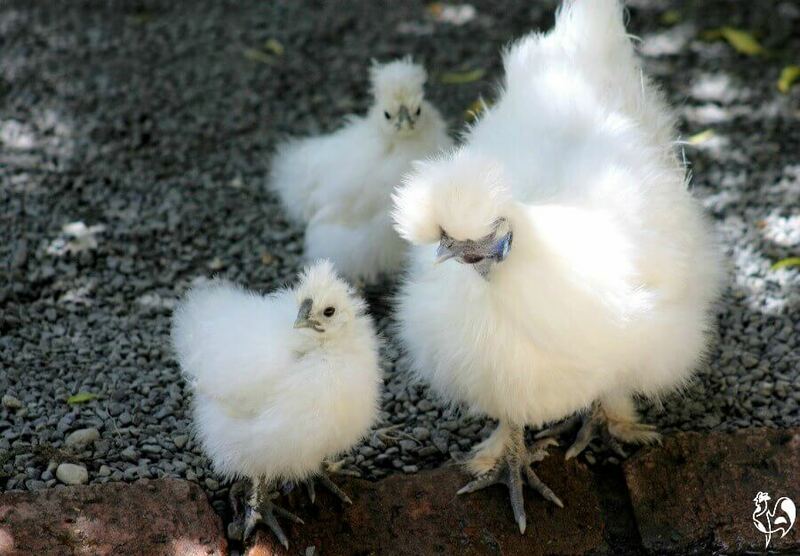 Today, Silkies are one of the most popular of all chicken breeds for families. Let's look at why. 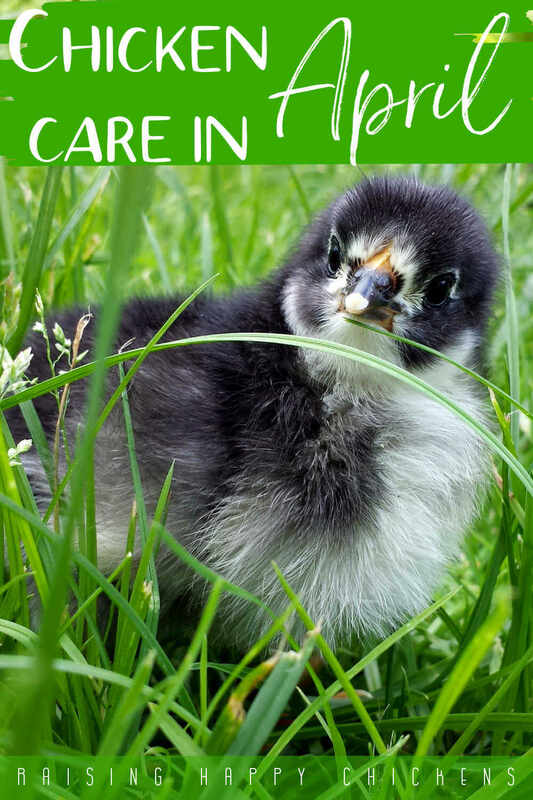 You're just starting out with chickens and you're prepared to take good care that they don't get cold or wet. 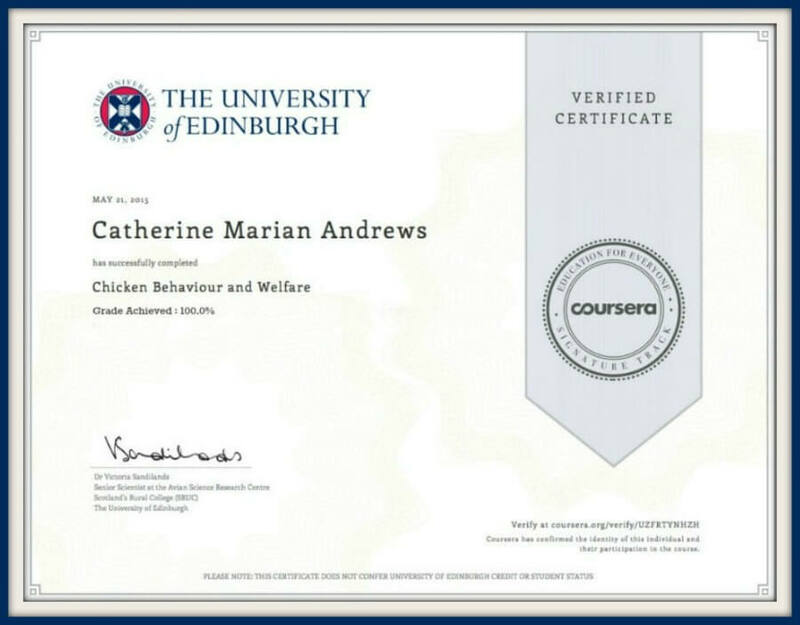 You want a first chicken for your children or a companion for yourself. You have a fairly small area, or you can't let your girls free range at all and need to keep them in a coop. You're thinking of keeping a chicken (or two) in an apartment. You want a bird who will be a 'mother hen' to lots of little chickens - no matter whose they are! You live somewhere cold, wet and muddy. You want a hen who will lay eggs but not go broody over them (although there are ways to stop a hen who's 'gone broody'). 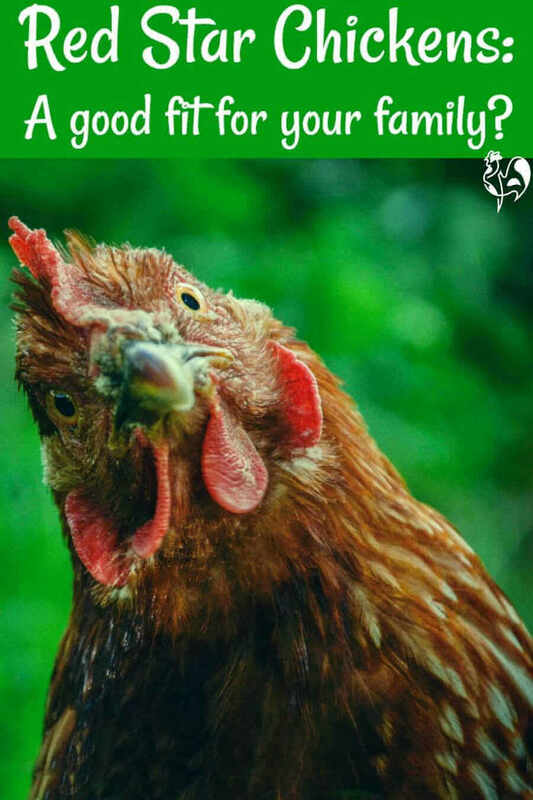 You're thinking of keeping chickens for meat. The personality of Silkie chickens. Silkies are gentle, kind birds who love company and adore being held. They tend to chatter away as they follow you around, which they will do once they're about six months old. They make wonderful mothers, in fact it sometimes seems their sole purpose in life is to be a mum! They love nothing more than raising a clutch of eggs - and they're not fussy about whose the eggs are. 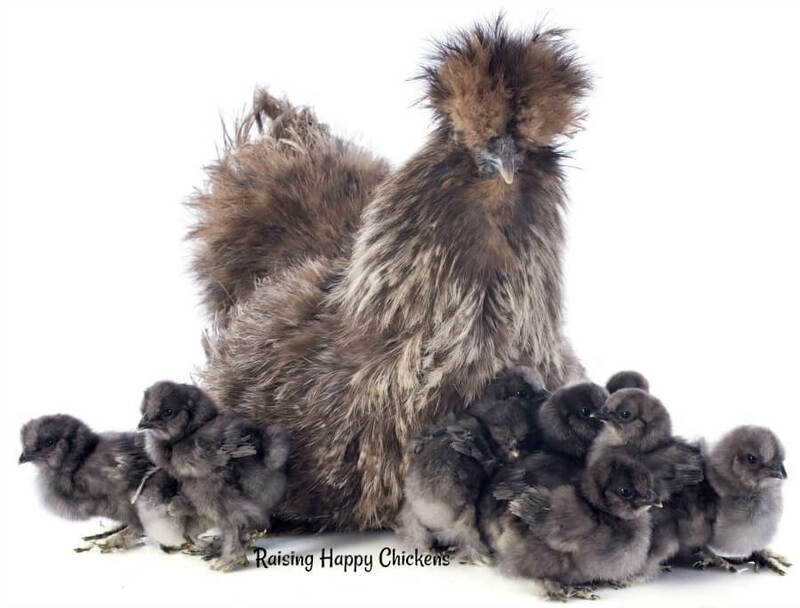 Silkies are more than happy to raise other types of poultry including ducklings and goslings. They tend to get a little worried when their 'offspring' take to the water! Their characteristic downy feathers come in a multitude of colours including white, black, blue, grey, gold and porcelain. Silkies come in standard or 'Bearded' - the Bearded Silkie has a beard and muffs. All Silkies have a black face, bones and skin; the flesh is a very dark grey-blue. A Silkie's beak should be grey or grey-blue. Legs are feathered and underneath are grey. I took this picture at the UK's National Polutry Show, where Silkies are one of the favourite breeds in both standard and bantam classes. Feet are also grey, and a real Silkie has five toes. Earlobes should be a beautiful shade of bright turquoise blue. The wattles and comb should be black or a dark, mulberry shade - if it's red, it's not a full-bred Silkie. Black face, blue-grey beak and bright turquoise earlobes - a Silkie! More about their physical appearance. The Silkie's characteristic 'silky' feathers look that way because they don't have the 'barbs' other chickens do. The fluffiness makes them look much bigger than they actually are - and makes them feel very soft to the touch. A standard Silkie will weigh as little as three to four pounds, with the males being the heavier. In America, they're classed as a 'bantam' breed and can weigh as little as 18 ounces. The original Silkie was the standard-sized, which is shown more commonly in the UK. No - they're wonderful at sitting on eggs, but if you want a good layer, don't have Silkies. They will lay about 100 to 120 eggs each year. They can stop laying altogether during the summer months. 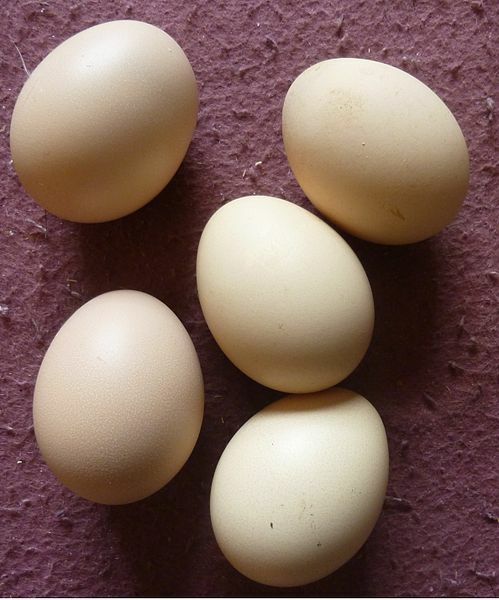 Despite some information on the internet that blue-earlobed chickens lay blue eggs - that's a myth - Sillkie eggs are a standard creamy-brown colour. 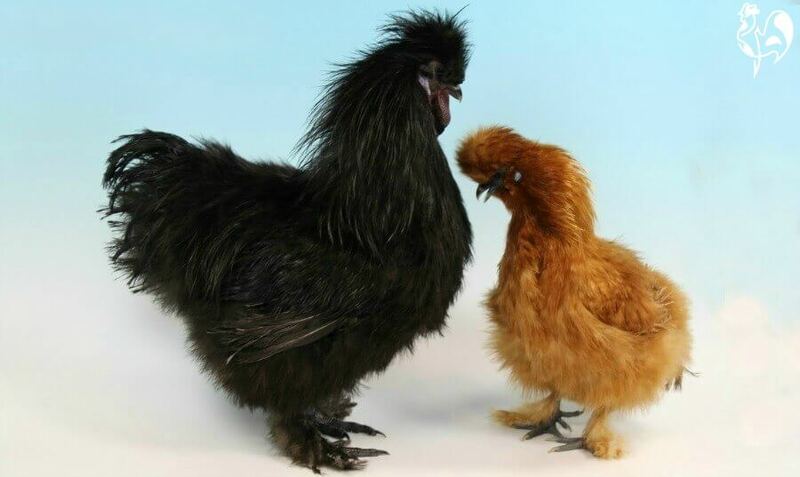 Silkie chickens : the good. 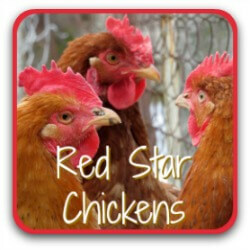 They are one of the friendliest chicken breeds and will appreciate attention and company. Silkies are very happy to be contained in a run, as long as it's dry and mud-free. They are one of the few chickens who would be happy to be kept in an apartment - they love a little luxury! They tolerate heat reasonably well. Their downy feathers mean they can't fly which is often an advantage. Silkie chickens : things which may be problematic. Because they're so gentle and trusting by nature, they can often be bullied in a flock of other breeds. If you intend to place them with others, you need to keep an eye out to make sure that doesn't happen. Their feathers are not like other chicken feathers. They're more like the down on other birds. Because their feathers are more like down, they're not waterproof so Silkies don't do well in a wet climate, unless they can be sheltered properly. For the same reason, they don't like snow. 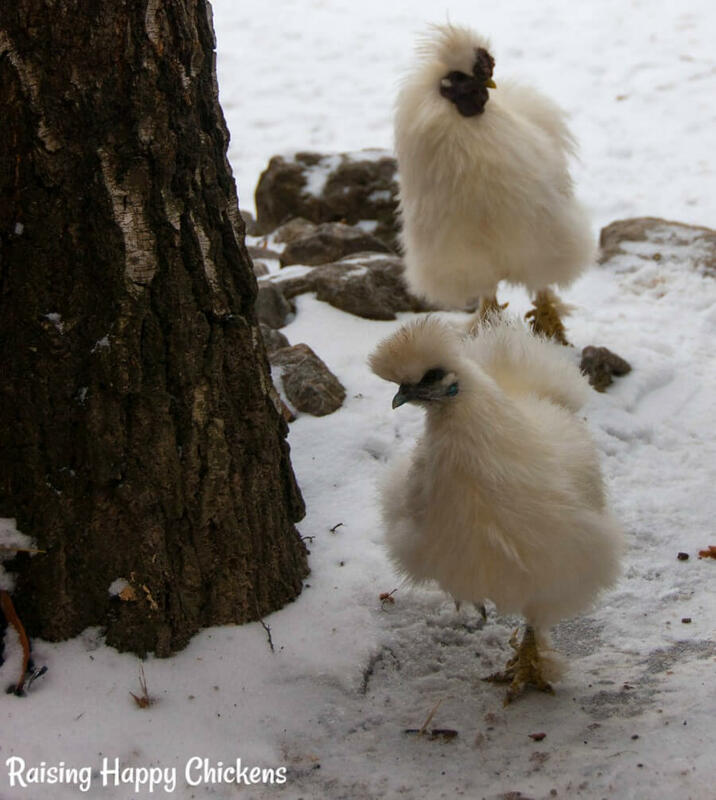 Their feathers may look thick but actually they don't do a good job of keeping Silkies warm, so very cold climates aren't good - unless, again, they can be kept warm and sheltered. If you live in a climate which has frequent cold, wet spells, Silkies are not the best chicken breed for you. Going to the roost cold and wet is a killer for the Silkie. "Showgirl" chickens - are they Silkies? Showgirls, which are very popular both as a pet and a show bird in the USA but hardly known at all anywhere else, are a cross between a Silkie and a Naked Neck Turken chicken. They have typical Silkie downy feathering, dark skin, and many of the Silkie characteristics, particularly the broodiness. To be a true Showgirl, the chicken must have no feathering at all from the back of the head down to where the neck and the back join. If you'd like to know more about Showgirls, there's a fun Facebook group about them at this link. Baby Silkies are the cutest! Here's a video of some day-old chicks. Notice the already feathered legs. So cute! Silkie chickens : where to buy them. 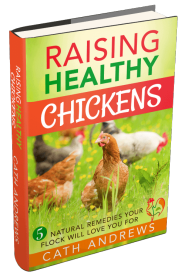 As with any poultry, you need to make sure you buy from a reputable breeder. There are a lot of chickens out there described as a specific breed when they're actually a hybrid. If you want chickens true to the breed, look out for the characteristics described above in the flock of the person you're buying from. Make a judgement about the breeder. Someone who is producing good, healthy birds will talk enthusiastically - even passionately - about them. Never buy from websites such as e-bay or Craigslist. There are some genuine sellers there, but more who will sell you infertile eggs or birds which are not the breed they're supposed to be. The links below are a good start to contact breeders in America. 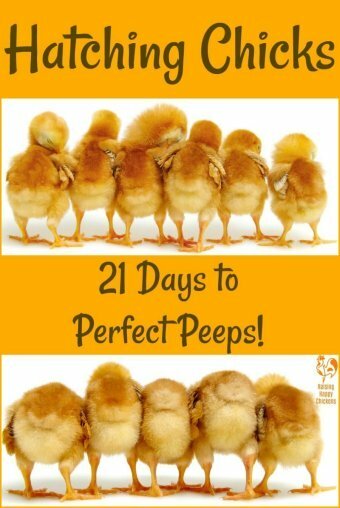 Outside America, look in poultry magazines for breeders local to you. Please note : Although the characteristics above are common across the breed, not every chicken will conform to them. Chickens, like people, are individuals. You need to check with whoever you buy from - just ask about the kinds of physical and personality traits their flock has. 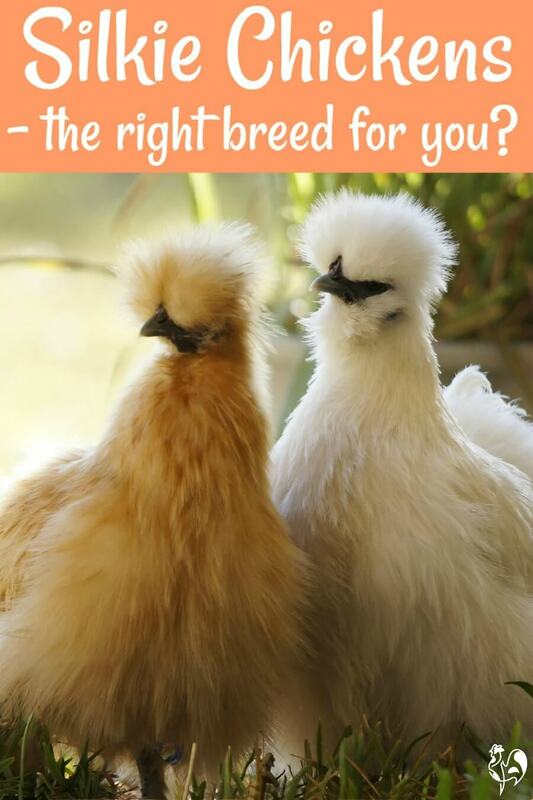 The Silkie Club of North America is a great resource for breed standard definitions should you want to show your Silkies. They will also have a list of reputable breeders if you want to buy a pure bred chicken. In the UK, there is a Facebook group specifically for buying and selling Silkies. Following this link will take you there. Are you someone who loves Silkies? 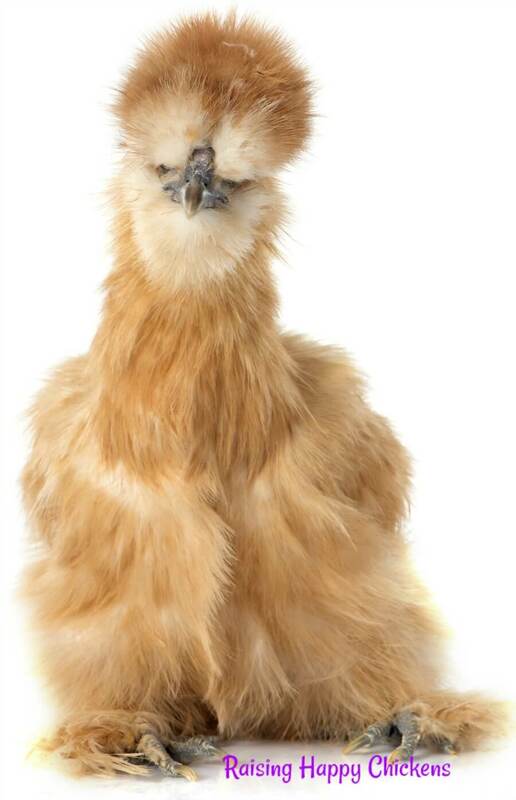 Or maybe you'd like to own a Silkie but for some reason you can't? I've recently found the most lovely book, in which a Silkie plays a major part. What is it? If you click on the picture or this link you'll be taken to my review of this stunning book, together with information about where to find it. It makes a wonderful gift at Christmas. Here's my guarantee - you'll love it! 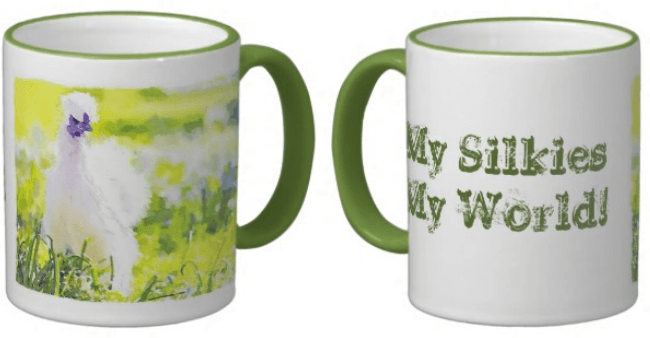 "My Silkies - My World" Silkie Chickens mug. The ideal gift for the Silkie lover in your life! Designed using a watercolour image of a real white Silkie wandering through a field of bluebells, this mug is available for sale in my 'print on demand' store on mugs and aprons. Clicking on the picture or on this link will open a new page where you can look in more detail. Some other chickeny things you may like! 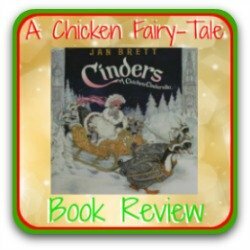 Looking for a family-friendly chicken but the Silkie doesn't quite fit? Try having a look at either of the two breeds below. 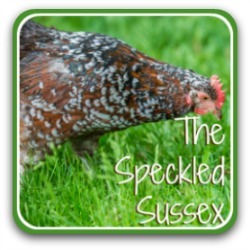 The Speckled Sussex is particularly calm and quiet, while the Red Star is a sweet-natured, curious and funny chicken and the best egg layer ever. Just click on the pics to find out more. 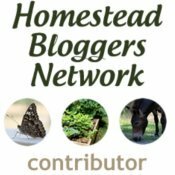 If you've found this page helpful, I'd really appreciate your sharing it by clicking this little button - thank you! Looking for a Silkie gift? Start here!